If you want to give your home a competitive edge in today’s housing market, you need to think about the improvements that will add value. Hardwood flooring is a great renovation choice because it can offer a significant return on investment and boost your home’s sale value. Let’s look at why this type of hardwood flooring is a worthy investment and what you can do to make it improve your home’s value. Homes with hardwood floors demand higher prices than those with lookalike floors or carpeting. In a survey that was executed by the National Wood Floor Association (NWFA), over 90 percent of the responding agents agreed that hardwood floors boost the resale value of homes. Twelve percent of those agents said they increase a home’s value by over 10 percent. 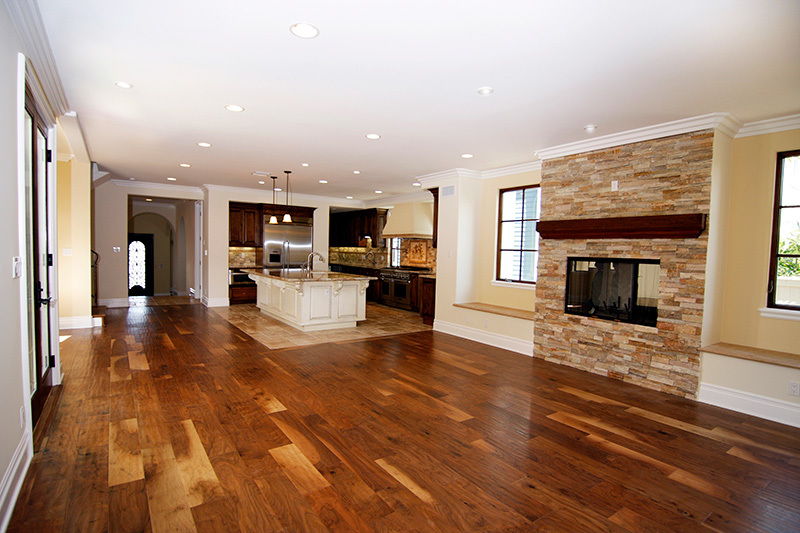 Hardwood flooring is preferred by renters and homebuyers across the United States. HGTV named it as the top request among people searching for a home. The NAR (National Association of Realtors) found that 54 percent of homebuyers were ready to pay more for a house with hardwood floors. Hardwood floors increase the likelihood of your home selling faster. An NWFA survey found that there was nearly universal agreement among real estate agents that hardwood flooring makes it easier to sell a home. Of those agents, 82 percent said the flooring helps a home sell faster. Hardwood flooring ups your home’s perceived value. This value corresponds to your home’s value in the eyes of a potential buyer. People like the refreshed look that the flooring generates. The huge aesthetic appeal that it adds can make your home look more luxurious and desirable. Hardwood floors don’t need a lot of regular work. Most of them just require regular sweeping or vacuuming and polishing every few months. Cleaning up spills and messes on their surface is easy. Hardwood floor refinishing can restore them to like-new condition. Whether solid or engineer hardwood floors, hardwood flooring lasts long. Compared to cheaper flooring types such as carpeting, inexpensive vinyl, and tile options, it has greater durability. With proper maintenance, it lasts for decades. Now that you know why hardwood floors are an excellent home improvement project, what you should learn next are the steps you can take to ensure they add to the value of your home. If your home currently has a different type of flooring such as tile, linoleum, or carpet, replace it with new wood flooring. Professional hardwood floor installation will help you get a good return on your investment. If your existing hardwood flooring has pet stains, replace the affected sections with new pieces. Once they’re refinished, these new pieces won’t be conspicuous. If you already have hardwood floors, but they look dull and beaten up, many potential buyers will get the impression that you’ve neglected your home. They’re also likely to get hidden problems during the inspection that will prevent them from making an offer. Be sure to sand and refinish your existing floors to restore them to good-as-new condition and add real value to your home that’s beyond aesthetic appeal. Most real agents say you can get a threefold return on this investment. If there’s hardwood under your carpet, remove the carpet to reveal the wood floor and refinish it. 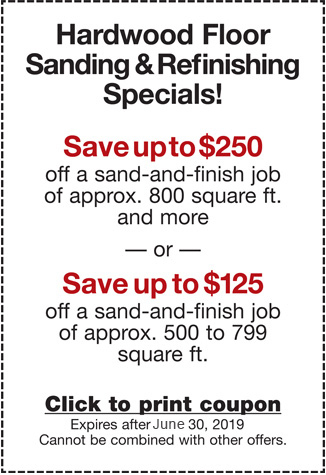 It’s usually more expensive to re-carpet than to refinish hardwood. There are certain rooms where people in Cupertino prefer to have hardwood, such as the living room, family room, and dining room. Hardwood flooring in the kitchen is also desirable because it’s easy to clean. Many people also prefer the flooring in the master bedroom. You can get back twofold from this investment. To learn more about how hardwood flooring increases your home’s value, call us at 650-961-1339 or 408-773-8624 or use our online form. You can also visit our showroom where you’ll get to see the variety of hardwood floor options we offer and get expert advice on all your flooring needs. We provide hardwood flooring installation, refinishing, and repair services in Sunnyvale, Palo Alto, Mountain View, Los Altos, Menlo Park, Los Gatos and the surrounding areas.